I had two purposes when I created this card. I have been working on creating cards of encouragement and I was participating in a demonstrator card swap! What is a demonstrator card swap? Basically I created several of the same card and then I swapped it with other demonstrators who did the same. We all focused on products from the new Occasions Catalog. The great thing is that everyone has a different style and idea so all of the cards are different! I will be sharing several of them with you over the next few weeks so stay tuned. Here is my swap for the group. I used the new stamp set called Perfect Pennants that coordinates with the new Pennant Framelits! Love products that coordinate! 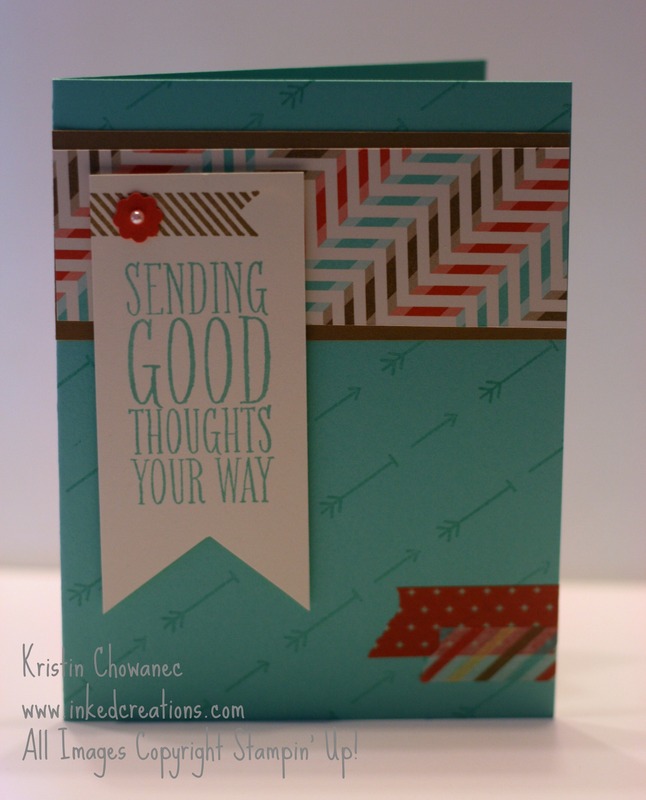 The background on my card was created using the arrow stamp from the Countless Sayings 2 stamp set. I was a little time intensive, but worth the effort. If you want to see all the other supplies I used I added the links below. Click through to see more about each of the supplies. The colors for this card were pulled from the Retro Fresh Designer Series Paper, which go right along with the Create With Connie & Mary color challenge CCMC288!